A rocket has blasted off from Baikonur Cosmodrome carrying a pair of spacecraft which hope to find if there really is life on Mars. 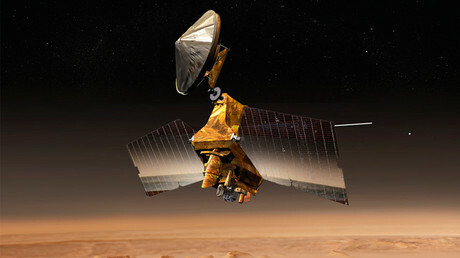 The probes will travel almost 500 million km, meaning scientists will have to wait a while to get their first readings. 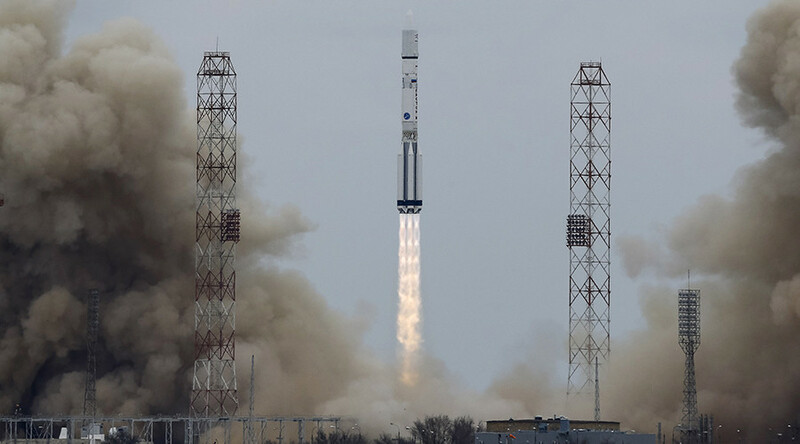 Mission control at the space center in Kazakhstan gave the ExoMars operation the all clear, saying, “The rocket has started successfully,” after lift-off at 09:31 GMT, Roscosmos stated. The first three separation stages all went according to plan, before the Breeze-M booster stage took over to give extra thrust. This was also successfully completed, according to information on the European Space Agency (ESA) website and Igor Komarov from Roscosmos. Russia’s space agency and the ESA are embarking on the mission to Mars to try and get a better understanding of the Red Planet and, of course, searching for signs of life. However, it is going to take the spacecraft seven months to get there. There are not one, but two probes, which will be looking to find things of interest on the fourth planet from the sun: the ExoMars Trace Gas Orbiter (TGO) and a small module called Schiaparelli. When the Proton rocket eventually reaches Mars in October, the TGO will orbit the planet using its sensors to pick up information that could show scientists that life once existed. Meanwhile the Schiaparelli module will actually land on the planet itself and take readings. Unfortunately Shciaparelli will have a relatively short life, with its batteries set to run out by 2018. However, there is help at hand, with a second part of the ExoMars project sending a rover by then to help explore the surface and interestingly, what lies below it. “This will be the very first time we will bring such a drill to Mars to look for remnants of life. It will be the first time on Mars that we will be able to drill down to a depth of two meters,” Rene Pischel, the head of the ESA’s permanent mission to Russia, told RT. “According to scientists, this is really the place to look at if you are looking for remnants of life. This is because things are burnt by the sun on the surface, so it is much more interesting to go down,” he added. Relations between Moscow and the EU have been icy over the last couple of years. However, Fabio Favata from the ESA told RT that this mission has the potential to bring countries together. “Space science has always been a key bridge, where people from different political origins and countries have always been working together and in space we are continuing this tradition. This allows the people with the brightest minds to meet and work together and understand each other and build a better future,” he said.